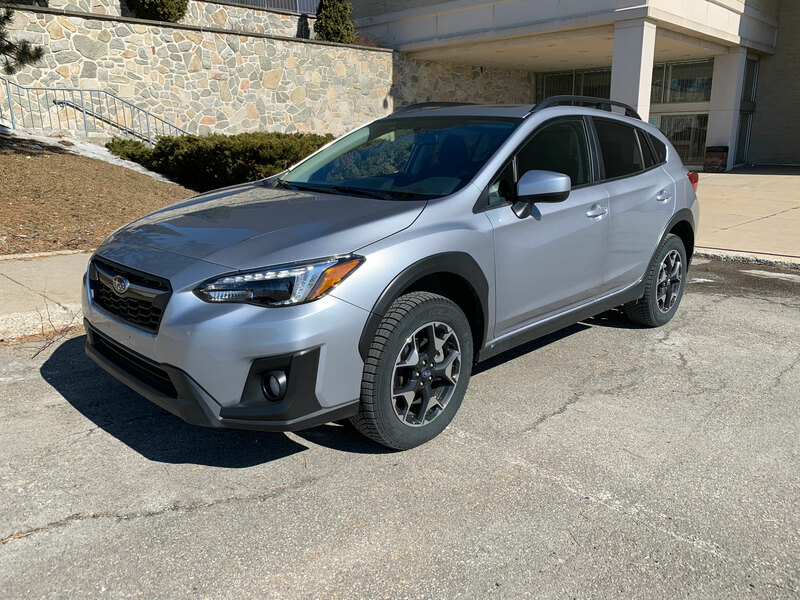 This vehicle was one of more popular road tests of late, garnering many responses from readers who have owned or still own a Crosstrek. 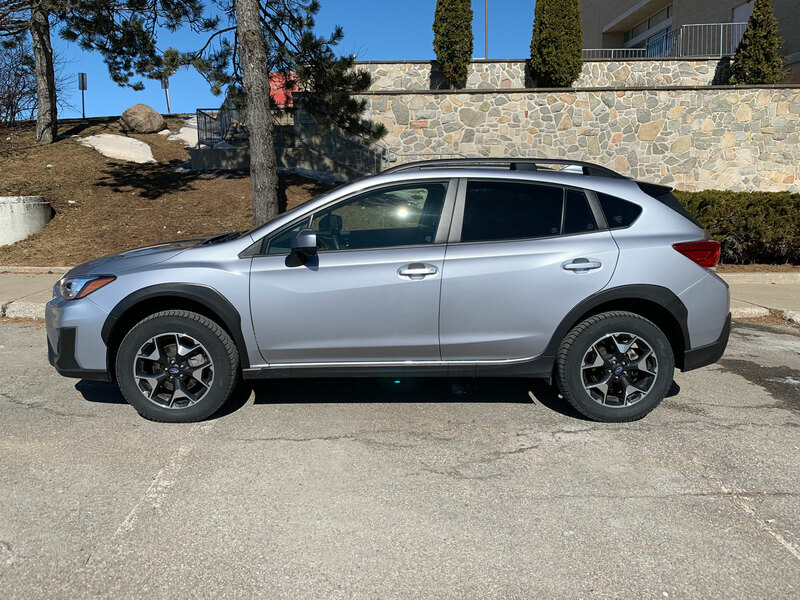 Technically this is classified as a crossover or SUV but it’s hard to call it that. I think many people would agree because it doesn’t look anything like a truck. 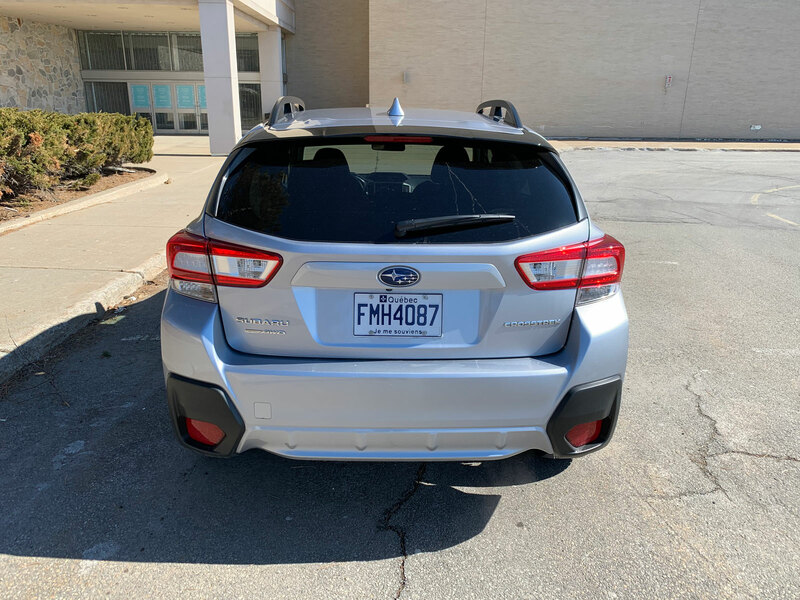 It’s essentially a raised Subaru Impreza hatch but I don’t mean to imply that as a negative because there is a whole lot to like about the Crosstrek. 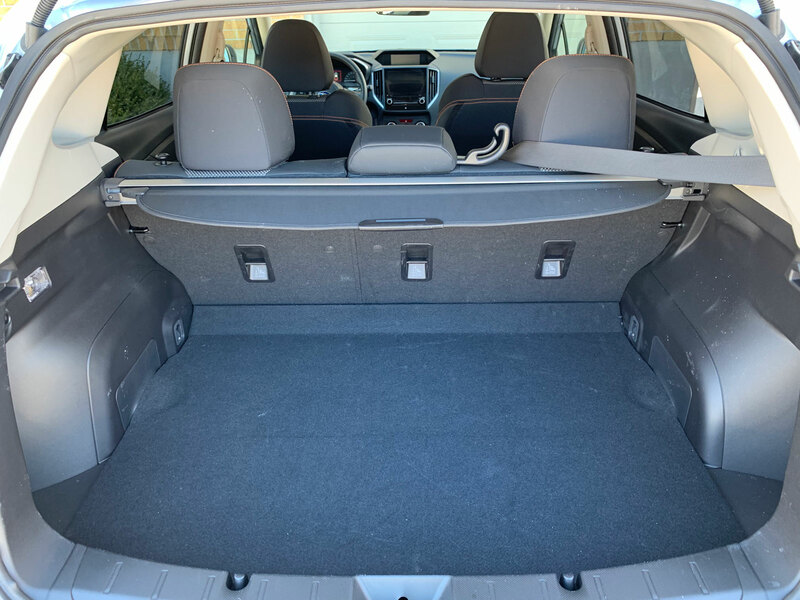 In fact, this is the perfect remedy for the SUV craze that’s gripped the industry because it has all the functionality of one without being an oversized bulge taking up space in the supermarket parking lot. 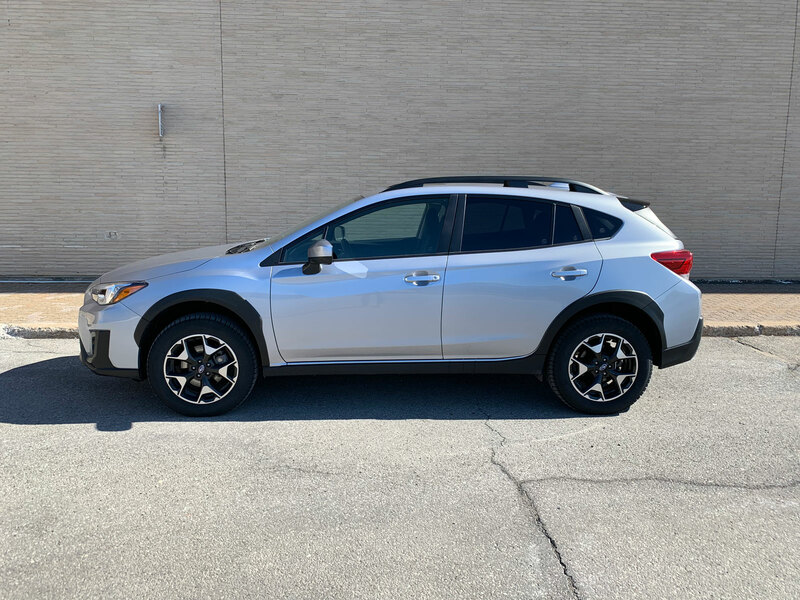 Subaru redesigned the Crosstrek last year and in my opinion, it was a welcome refresh. 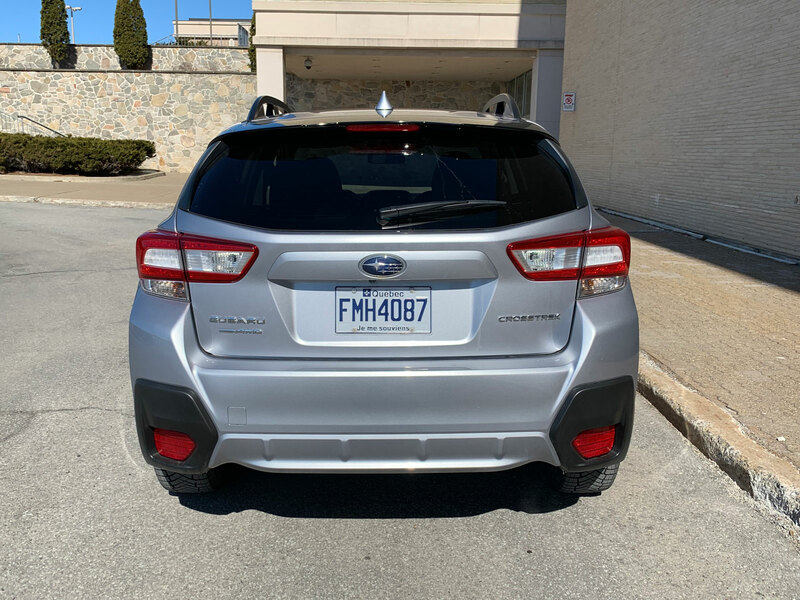 The rear fascia in particular looks much more modern with larger, wider taillights. 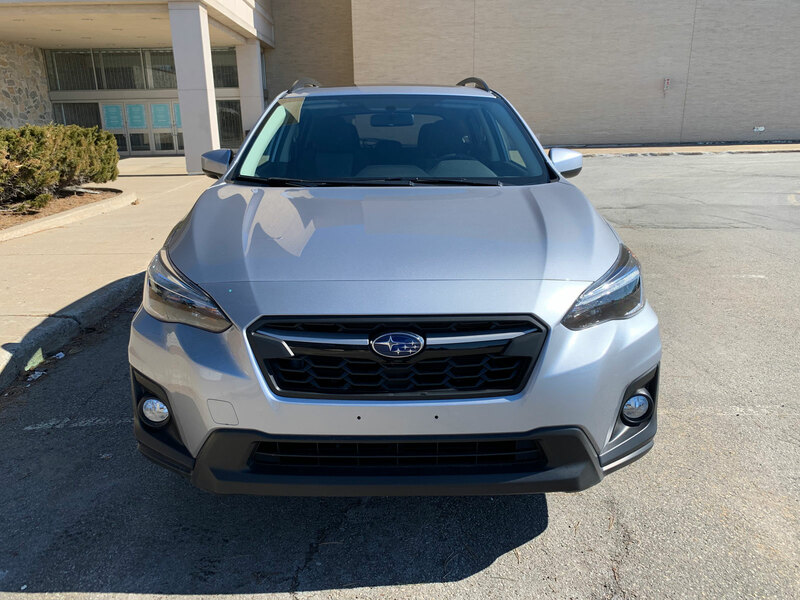 The front is very similar but the grille was changed and the headlights are less blocky for a softer look. This is Subaru’s smallest crossover with the others being the Forester, Outback and the new Ascent 7-passenger SUV. The small dimensions make it a breeze to maneuver around the city. 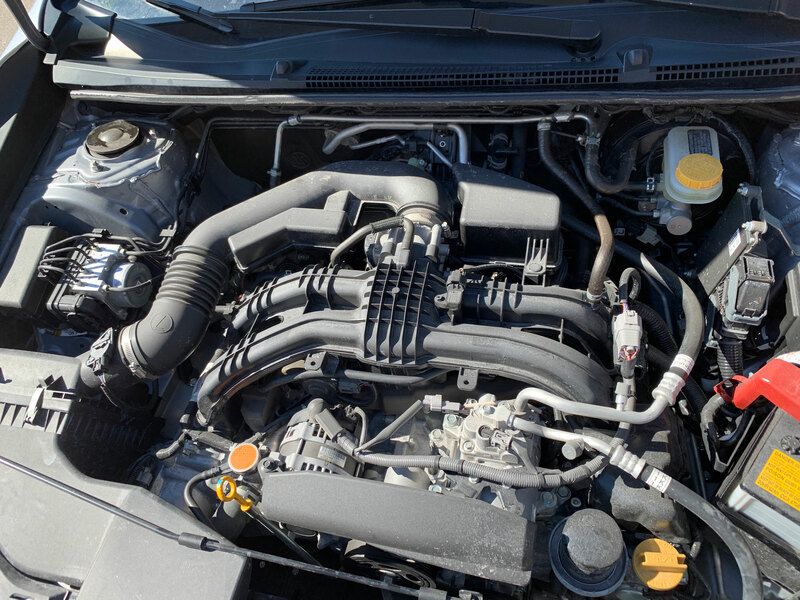 Under the hood is a 2.0-litre four-cylinder BOXER engine making 152 horsepower and 145 lb-ft of torque. The choice of transmission depending on the model you chose is their a 6-speed manual or CVT (Continuously Variable Transmission). 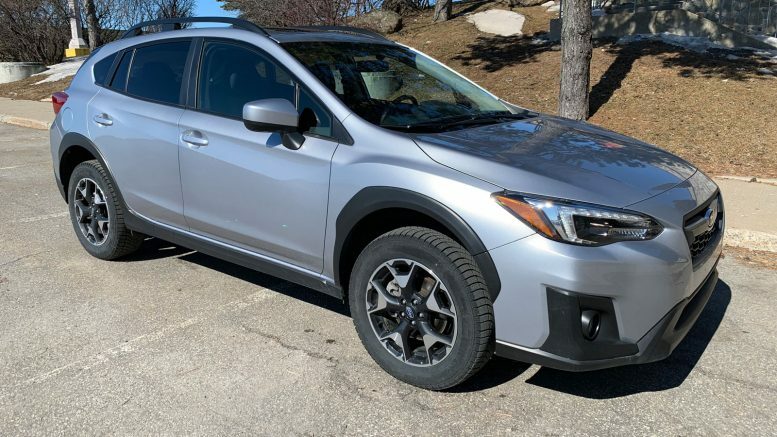 Let’s just say that the Crosstrek will not be braking any speed records anywhere ever. The power is just enough to propel it up to speed but it struggles if you need anything more like to pass a vehicle on the highway for instance. The manual helped me get a little more juice out of it but I’m not sure I’d be happy with what the CVT would yield. The good news is that the owners’ fuel bill will be very low. 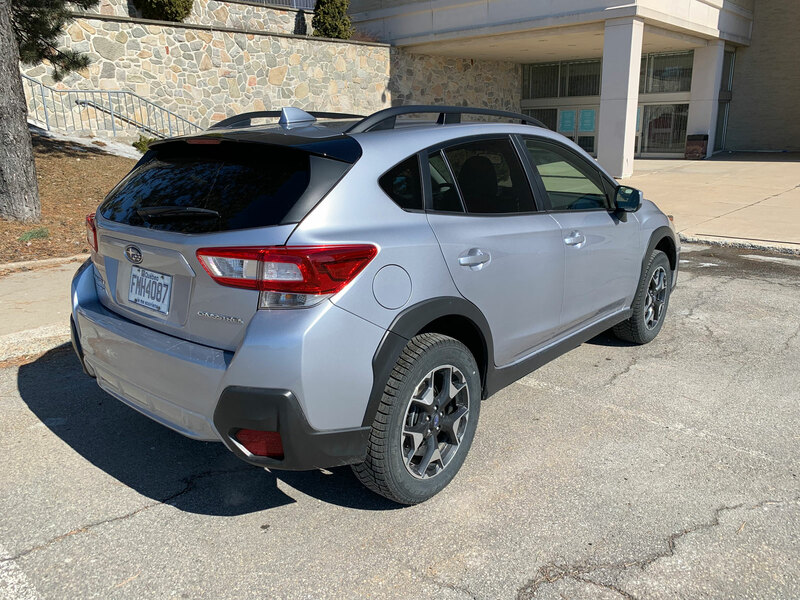 Despite its increased ride height, the Crosstrek still handles like a small car should. 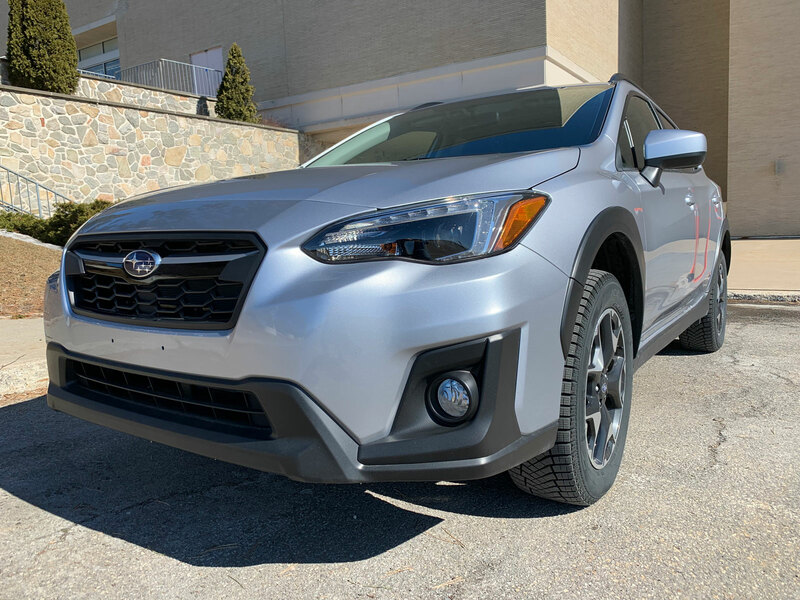 It’s heavy – thanks in part to its X-model all-wheel drive system but that’s not an issue because it doesn’t actually feel like a heavy vehicle when driving it. 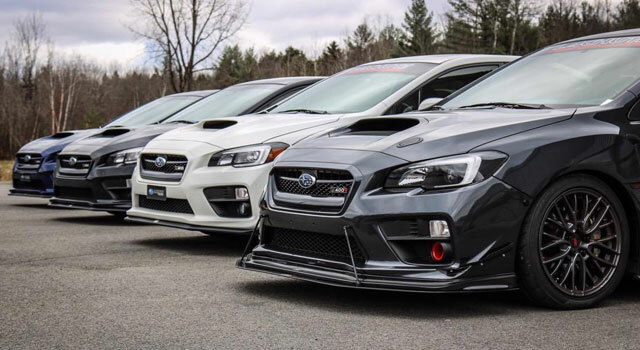 That AWD system is likely a necessity for most who buy it. 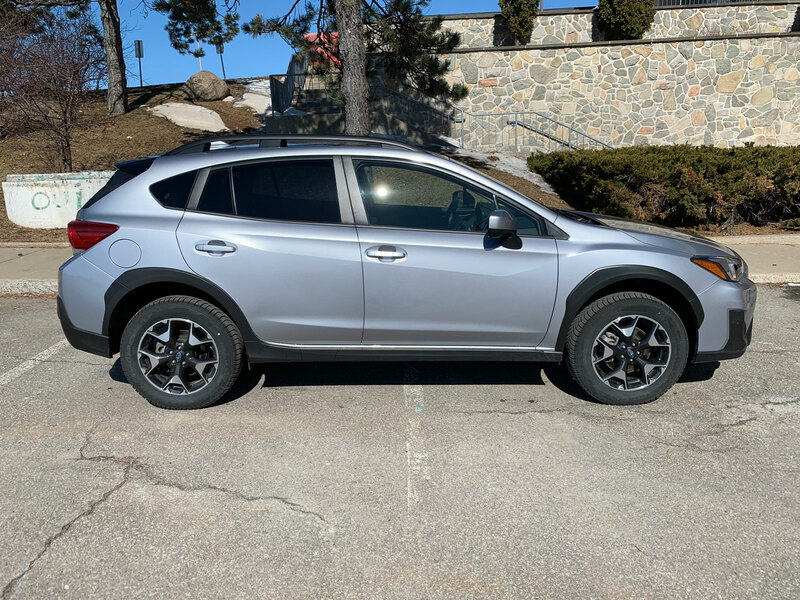 Whether its to tackle our rough Canadian winters or its because you like to go on off-road excursions, the Crosstrek delivers this ability wonderfully. Subaru has had a reputation for dull interiors in the past but I’m happy to say those days are over. 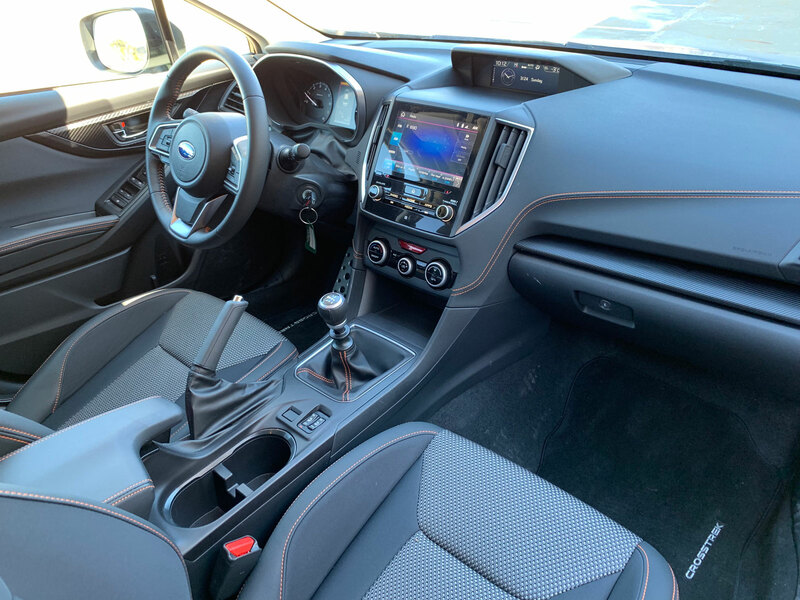 The Crosstrek Sport cabin you see pictured here was quite comfortable and pleasing to the eye. I got some complaints online about the orange stitching but I had no problem with it at all. 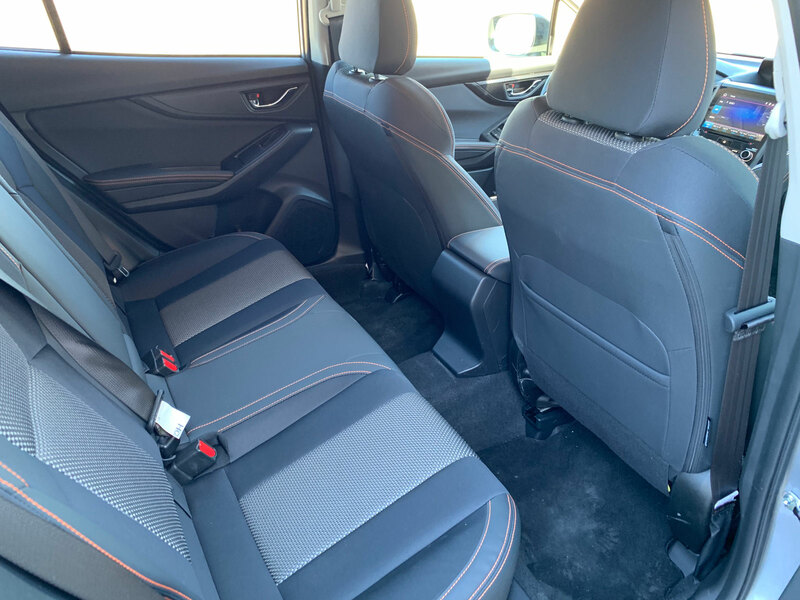 The seats are comfortable and the driving position and visibility are excellent. The new dashboard layout is a modern, functional and pretty and I can’t really think of anything I’d change. 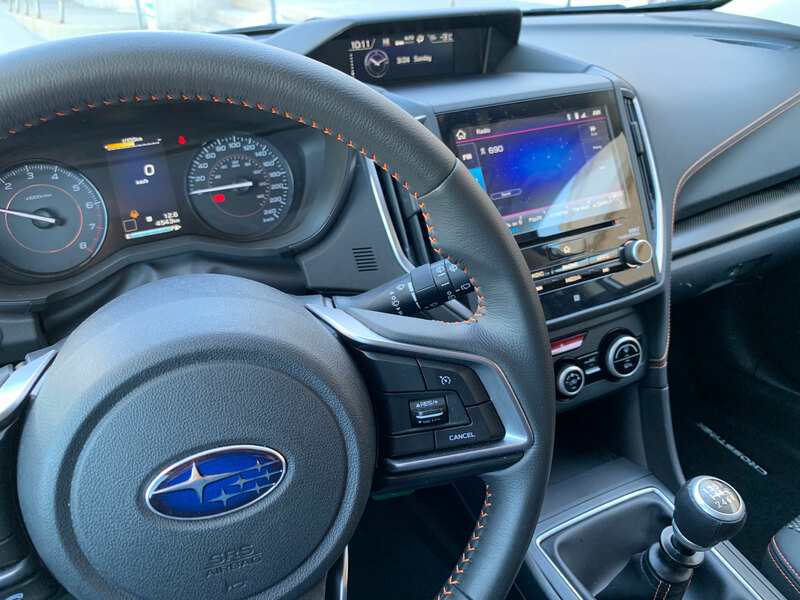 The standard Subaru infotainment system is displayed on a 6.5-inch high-resolution touchscreen display (Convenience and Touring models). 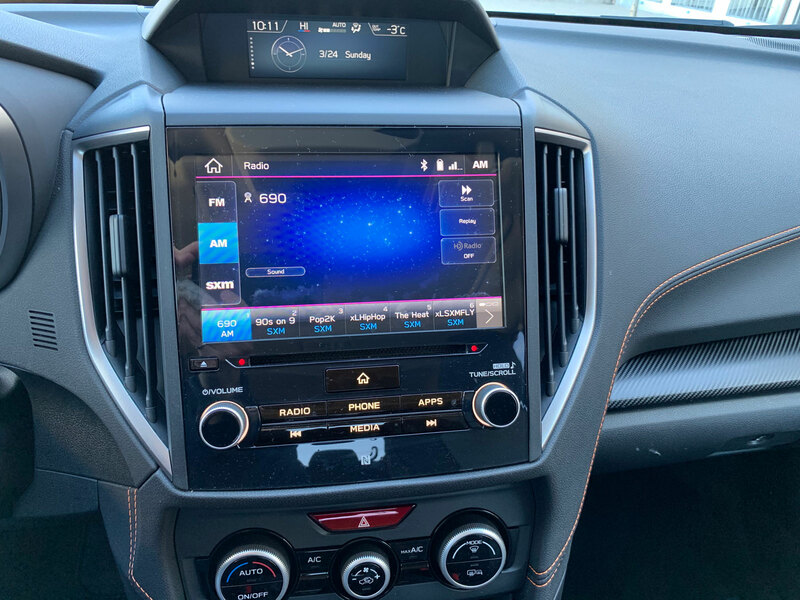 It has Apple CarPlay, Android Auto, STARLINK smartphone integration USB port/iPod control, auxiliary audio input and steering wheel-integrated controls. The Sport and Limited models improve to an 8.5-inch screen with a few extra features. 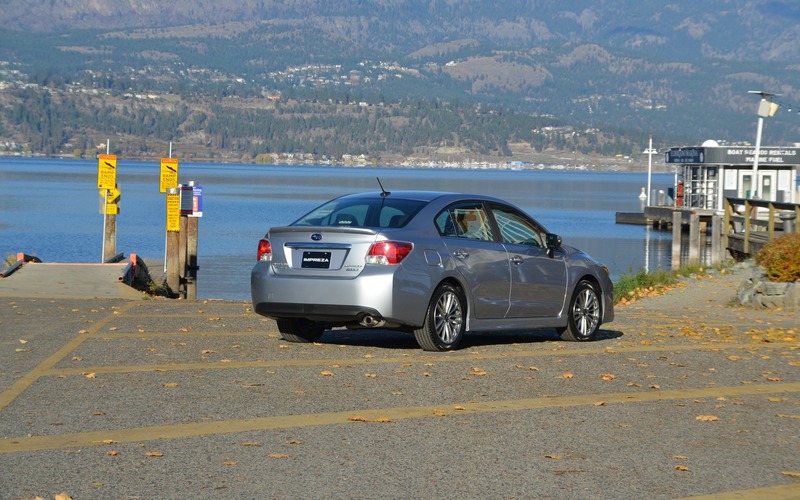 Subaru has perfected the layout and operation of its system. It’s by far one of the easiest to use for basic radio and entertainment functions. What I especially like is traditional dials for climate and fan control located just underneath. It’s easy and simple to use, just how it should be. Nothing is worse than trying to tap on a slow-frozen LCD screen to try and find the setting to get the heat blasting. The only downfall was the amount of effort it took to figure out how to adjust the clock. There was a recent daylight savings time change and I never imagined I’d have to google the answer. That being said, once you learn it once, it’s done. 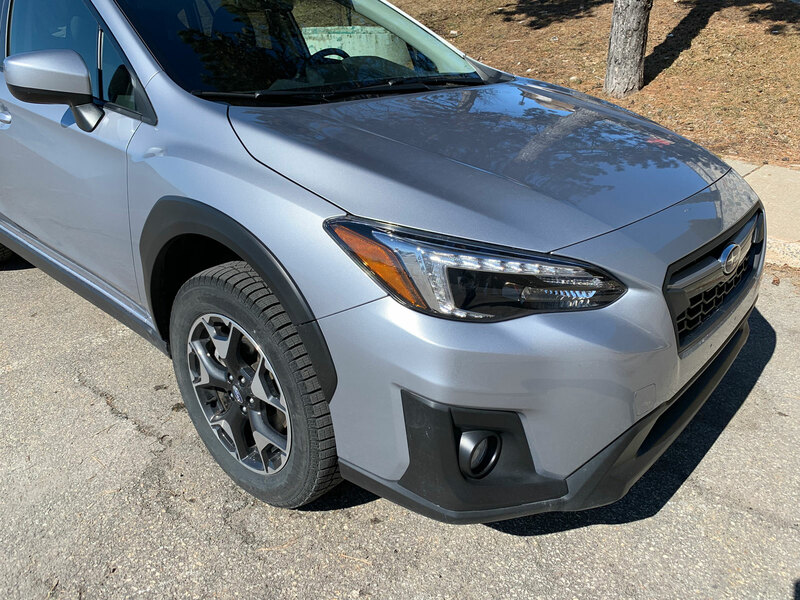 Subaru has something called the EyeSight safety system. This system of driver aids helps anticipate dangerous situations via the use of cameras and sensors. It’s used for adaptive cruise control, lane keep assist, pre-collision braking and pre-collision throttle management. My tester didn’t have it but it’s available as an option on the Sport and Limited trims. 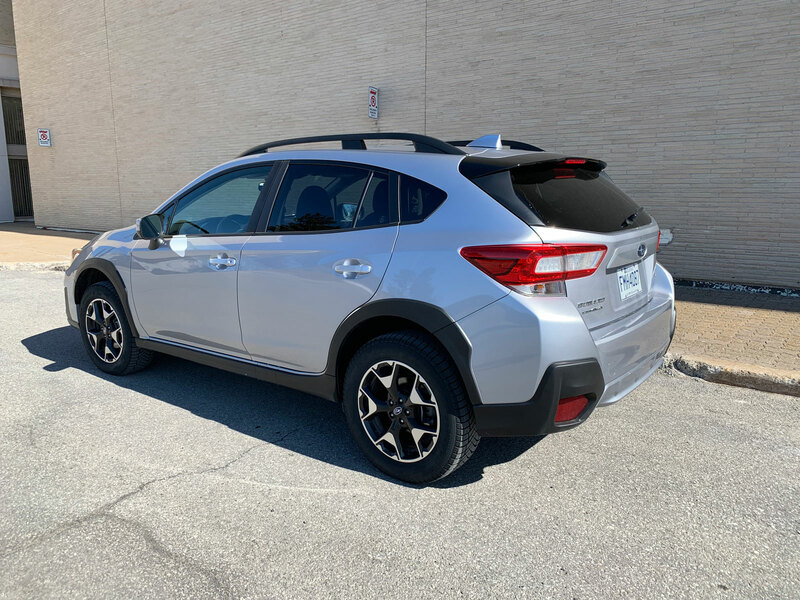 The Crosstrek has a very attractive starting price for the base model at just $23,695. Add $1300 if you want the automatic vs the manual. 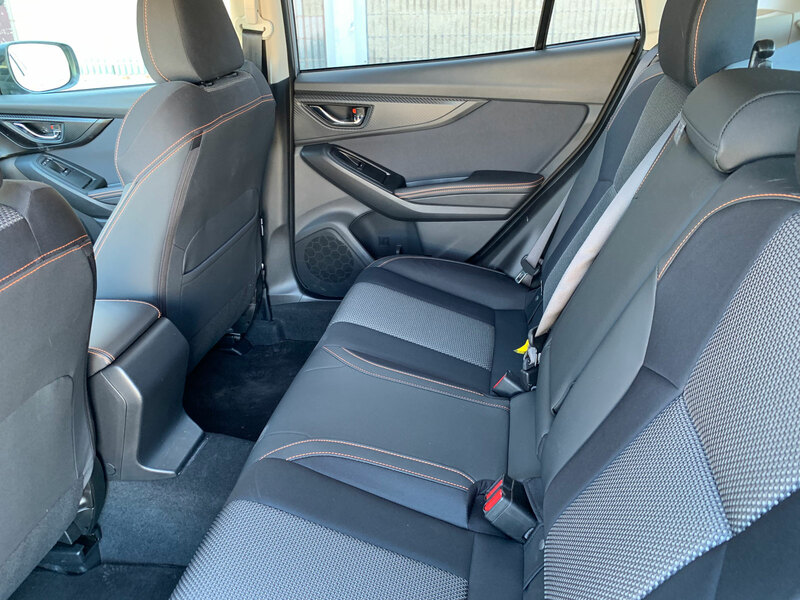 The Touring adds better cloth seats, a leather steering wheel, auto headlights, auto climate control and a cargo cover for $25,395. 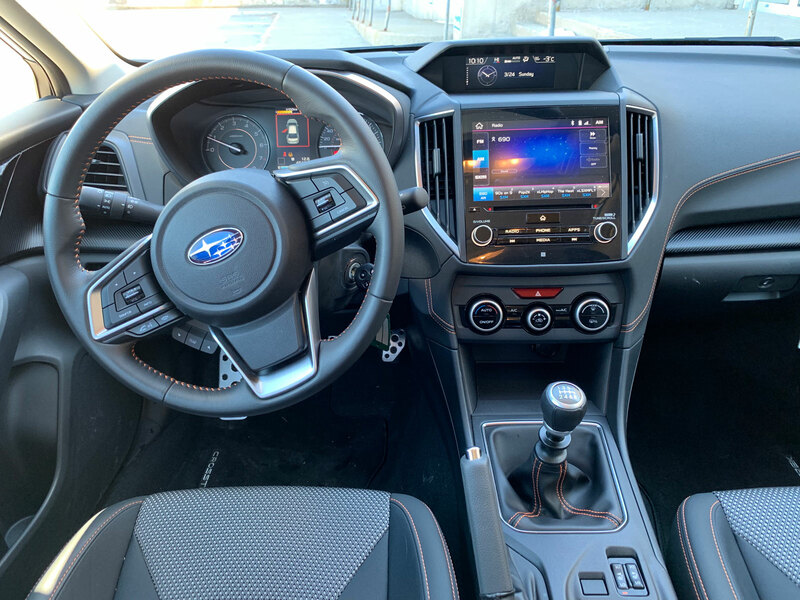 The Sport you see here ads the larger infotainment screen, power driver’s seat, even better cloth seats, LED headlights and more safety features for $27,895. Finally, the Limited will see a heated steering wheel, dual-zone climate control, a premium sound system and navigation for $31,795.